Pandemic Legacy is the most important board game ever made. Allow me to explain. NCIS. Matlock. Family Matters. The Simpsons. What do all these television shows have in common? They invite us to enter a pre-established universe, watch the characters encounter obstacles, and subsequently overcome them usually within an hour for dramas, half hour for comedies. For years, television has followed this format, wrapping up storylines within the course of one sitting. Every now and then there are some “To Be Continued” or “2-Hour Specials”, but television has primarily followed this script since its inception. Board games over the years have been no different. 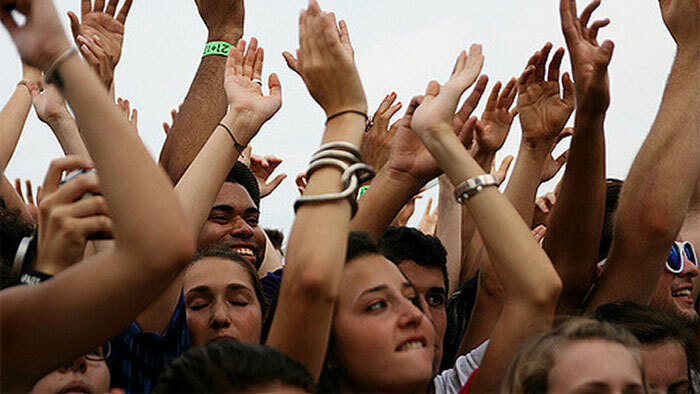 They invite us to step into a pre-defined world with collectively agreed upon rules and guidelines. If you pass GO, you collect $200. The bishop only moves diagonally. When you roll a seven, you move the robber. Like a television show the players encounter obstacles and strive to rise above them to emerge victorious. The game ends; the show is over. Whether the game takes thirty minutes or more than four hours, when it’s over, it’s over. 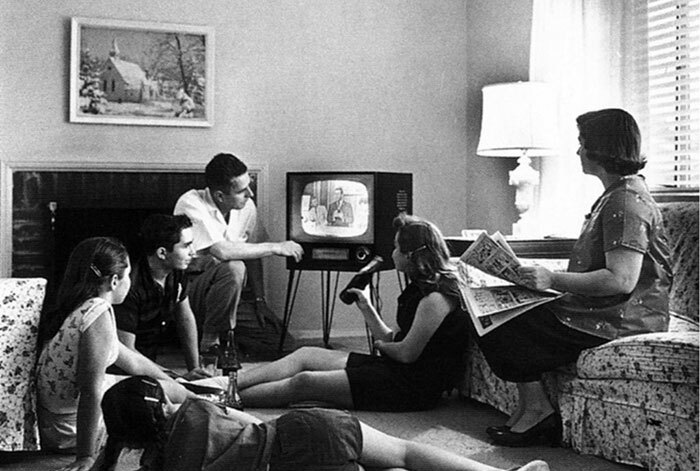 We put up the game, turn off the show, wait until next time when we’ll do it all over again. The players may change, a plotline may be different, but the format is the same comfortable narrative structure that we as media consumers have collectively agreed to expect. 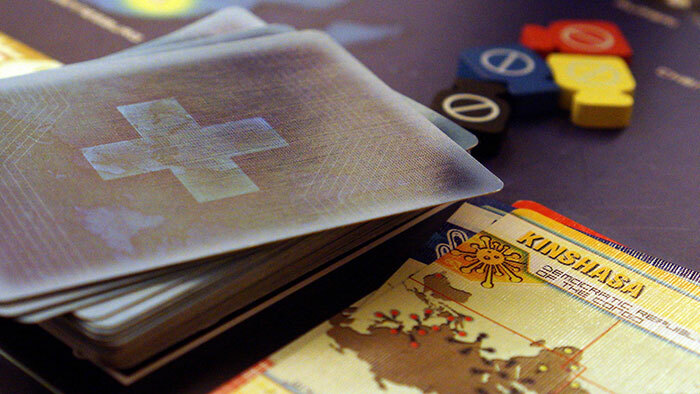 Enter Pandemic Legacy, co-designed by Matt Leacock and Rob Daviau. While this was not the first iteration of Pandemic or even the first legacy-style game, Pandemic Legacy combines the two concepts in such a masterful way that we have never seen before. The legacy system means that events that occur and choices you make will affect games in the future. If you decide to let Tokyo fall, the next time you play the game Tokyo will still be fallen. This concept creates such a sense of urgency and purpose, that our choices not only affect today’s episode, but each and every one in the future. If previous board games were the procedural shows of yesteryears, Pandemic Legacy is the stuff of today. It’s Breaking Bad; it’s The Soprano’s, The Walking Dead, Lost. It is a serial drama where story arcs carry across the entire length of the campaign. While each episode/play-through may feel familiar, the narrative changes and develops across the lifespan of the game. But wait, you may say. What about role-playing games? 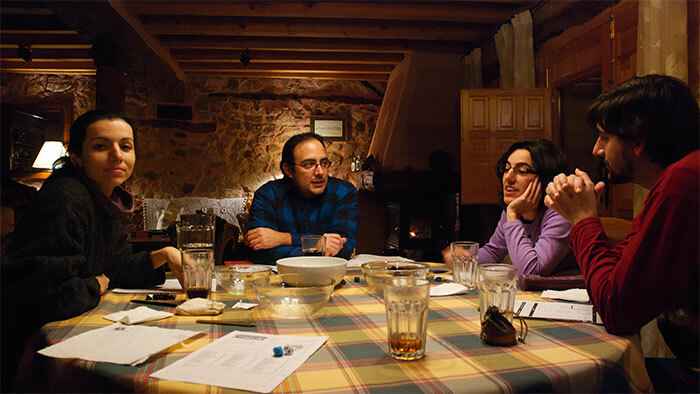 Doesn’t Dungeons and Dragons or Call of Cthulhu provide the same extended narrative experience over multiple plays? Yes, in a way, but RPG’s are like the soap operas of the gaming world. The plot is often meandering, with only a vaguely defined sense of purpose. They can go off on random side plots and rabbit trails that may or may not advance the characters toward the resolution, if there even is one. Some people have been playing Dungeons & Dragons with the same party for years, encountering new plotlines and obstacles per the whims of the dungeon master. Yet even though they shared the same pre-defined story arc, each play group was uniquely different. At the end of the game, each respective world had changed into its own unique universe. 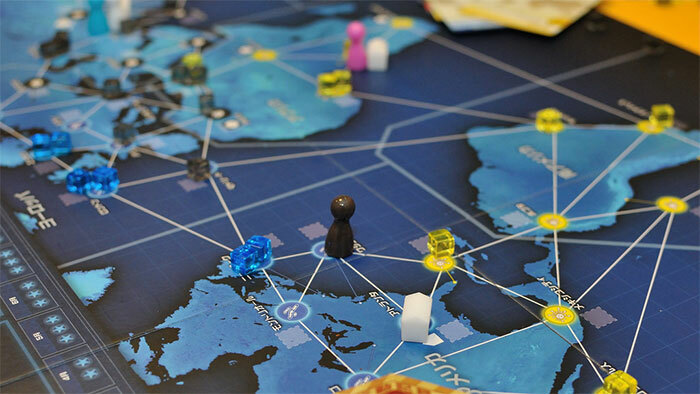 Like the original Pandemic, it is a cooperative game where you either all win or all lose. Stepping into this universe as these characters, you develop an attachment to them. You name them, root for them, rejoice with their victories and commiserate with their defeats, possibly even mourn their deaths. To say that Pandemic Legacy provided me with my greatest gaming experiences is an understatement of grand proportions. I can still vividly remember many games from all three of my campaigns. One session in particular stands out. The situation was grim. It was our last chance as a group to win the game. All our carefully planned strategies and tactical decisions to combat the game’s inevitable entropic forces had come down to one final round. My friend Brett had miraculously drawn the exact color cards required for us to complete our final objective and win. We needed to simply survive until his turn came back around. However, the world was in poor shape. One bad infection card draw could spell defeat. On top of that, there was still one calamitous epidemic card yet to be drawn. With each card drawn, our impending doom loomed larger and larger. Mine was the last turn before Brett’s came back around, before a potential victory. I did what I could with my four actions, but it was clear that our fate was in the hands of the gaming gods now. I will remember that particular game session for the rest of my life, more than I can say for any play of Dominion or Power Grid. This is the experience that Pandemic Legacy creates, no matter the play group. I can instantly connect with anyone who has played through our shared, but unique, experiences. “Do you remember when X happened?” “How did your group deal with X?” It is this kind of collective gaming experience that is beginning to define the modern board game industry. A board game isn’t just a recreational activity anymore; it is a canvas on which a masterpiece can be painted, a blank page on which tales of heroism, conquest, civilization, etc. can be written. 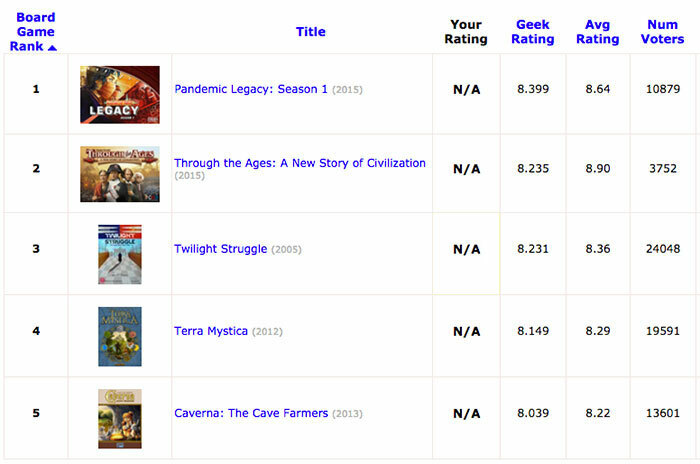 Whether Pandemic Legacy is the best game ever made, as the BGG.com rankings currently suggest (as well as beloved game reviewers Shut Up & Sit Down), is up for debate. 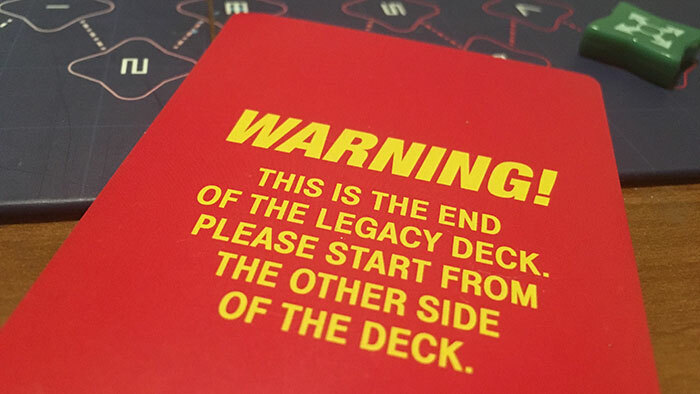 What is certain is that Pandemic Legacy deserves a permanent place in gaming history. Just as European-style games like Catan and Carcassone once brought about a change in the zeitgeist, Pandemic Legacy is changing the game anew. Narrative and theme are becoming as crucial to the game experience as design and mechanics. We the consumers crave stories, we want characters that we can connect with and root for. We want not just a how or what, but a why. We want a reason, a purpose for the game. This is the dawn of a new generation of gaming, a new school of game design. It’s not enough anymore for a game to succeed on mechanisms alone. Publishers and game designers should recognize and embrace this seismic shift, or risk their creations be swept up in the ever expanding sea of selections. Thousands of new games were released in 2015 alone. Quite simply. if you want your game to be remembered in the crowded design space that exists today, give us something to remember. 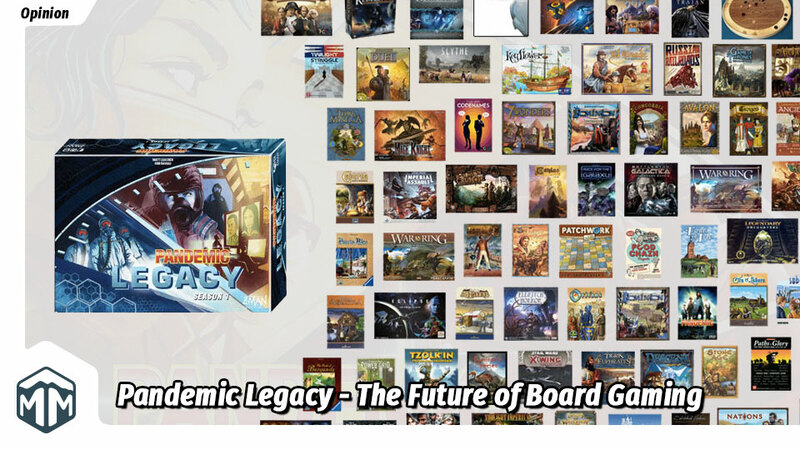 Whether Pandemic Legacy is the lynchpin on which new gaming is built, or simply a harbinger of greater things to come, I know that I am excited about the direction we as a gaming community are headed. I relish a good story, enjoy a well-crafted narrative, and crave interesting and complex character arcs. I look forward to see what the gaming future holds. Say what you will about the limited replayability, but Pandemic Legacy is driving the conversation, steering the industry in ways that have yet to be explored. For this reason, I am convinced that Pandemic Legacy is the most important game that has been made. What do you think about this new trajectory for games? Do you agree or disagree? Let us know your thoughts in the comments below! Don’t forget that there are still a few more days to enter our Go Cuckoo contest! We’ve got two copies from HABA to give away, so check out the game that Shut Up & Sit Down said was the best at Gen Con!